Grimsby Town vs Northampton predictions as they meet in League Two this weekend. Will the in-form visitors be able to continue their unlikely push for the play-offs with another win? Read on for our preview of the match and all our free betting tips below. With nine games remaining in the campaign, we are at the stage of the season where there are plenty of sides with little left to play for as they have done enough to secure their survival but are too far away from the play-offs for it to be considered a possibility. 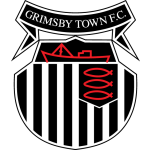 In Grimsby Town, we have a side who are in exactly that situation but this weekend they face off against a Northampton Town side who are still hopeful they can make the top seven come the end of the campaign. Grimsby Town have picked up just one point from their last four League Two games and slumped to a 4-1 defeat at Tranmere in midweek. The Mariners have already managed to do just about enough to secure their spot in the Football League for another season and currently hold a 15 point lead over the bottom two, however, they will be determined they can end the season on a high and carry some real momentum into next season. 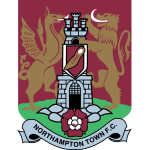 Making the trip to Blundell Park this weekend is a Northampton Town side who are enjoying their best spell of the season, after Tuesday night’s 1-0 win over Newport made it four wins on the spin. The Cobblers were un-fancied to make the play-offs just a few weeks ago but they know that if they are to maintain this recent upturn in form for a few more weeks, then they will be catapulted into the fight for the top seven. The visitors recent upturn in form has come largely thanks to their defensive capabilities and their last five games has seen them concede just two goals. With the hosts seemingly ready for their summer holidays and playing much less than at their best, it is hard to imagine a scenario in which they earn three points. When you also factor in the form of the visitors of late, then backing an away win seems to be the most likely outcome. With this in mind, we think that backing Northampton to earn all three points is the way to spend your money in this fixture. Grimsby have earned 62% of their points on home soil. Northampton have won their last four matches. Northampton have been undefeated in their last seven matches. Northampton have scored in 78% of their away matches. Northampton have been undefeated in their last four away matches. Northampton have scored in each of their last 11 away matches.